Having Trouble Getting Wholesale Deals In Today's Real Estate Market? And ​Those Who Understand It Are Cleaning Up..
Why Market Probate Real Estate Leads? It's true, probate real estate leads are the most motivated, have the least competition and typically are owned free & clear or have very high equity. ​In addition quite often these homes need repairs and haven't been updated so you can buy them at a significant discount!!! 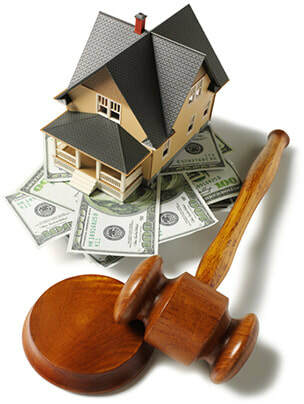 If you're a real estate wholesaler, flipper or investor looking for highly motivated sellers probate real estate is the niche for you. Reason #1 Most every other lead type is extremely competitive with real estate investors and wholesalers. Absentee owners are so overwhelmed by the amount of "We Buy Houses" letters and postcards they could scream (and sometimes do). The probate niche on the otherhand has very low competition! Reason #2 Many wholesalers and Investors that are currently marketing to probate leads lack the follow up skills and knowledge to do it successfully. ​(90% of them mail just once and move on) Their poor marketing practices presents a awesome opportunity for you to successfully get more deals! Reason #3 Some statistics suggest up to 80% of all inherited properties are sold within 18 months of the owners death, no other lead type even comes close to that. If you have a good drip marketing campaign probate leads will yield a great flow of investment deals for you month after month. Reason #5 Spend less money mailing and get more deals... Which would you rather market to 1000's of absentee owners or 100's of probate leads? The clear answer should be probate leads for these simple reasons: They're Highly Motivated To Sell, You'll Have Almost No Competition and You'll Spend Less In Marketing Costs And Get More Deals! Need a good probate template for marketing yourself to attorneys? The letters below are for real estate wholesalers and investors who are in the probate niche and want to do some attorney prospecting. I've left them in a word document format so you can add your contact information and edit them as you wish. Good Luck! Why is there so much money available to finance flips? Get The Probate Real Estate Course Today! Tiffanie Minnis - Excellent. Detailed. Turn Key course. So glad I found it. Worth so much more than the gurus that charge 5 arms and 3 legs. Thank you for sharing your knowledge with us! Raymond Thorpe - This course gave me a solid game plan and direction. I was able to get probate leads in a short time as soon as I knew what I was looking for. Love the encouragement and the confidence that if I persistent with the marketing and making offers I will succeed. I am exited to put that to the test. Thanks for making available your knowledge and experience in this course. Richard Peralta - Very useful information and very easy to follow instructions on how to dive in to the probate business. Highly recommend it to anyone that wants to learn about the niche of the probate world. Anastahsiah Robinson - I thought this course was fantastic it. It was very thorough and gave great examples. The fact that the instructor showed actual footage from the courthouse to further explain how to obtain the probate court records just shows he went above and beyond for this course. He also showed step by step on how to create your mailing list campaign. The best course I have taken. Thanks! Herbert Shelley - This information is what I have been looking for and others want you to pay an ungodly amount of money for the info. Kenneth Nunez - I have taken many courses on real estate investing, this one is very unique for the reason that it is very detailed on its style. It is very clean, and clear and right to the point. For anyone looking to learn about wholesaling real estate even if you do not want to do probate investing i def suggest this course. After all its only $97!!! Giovanti Melton - Greg does a great job at simplifying this process. He gives some really good advice and strategies to execute this process. I've listened to podcast and taken some other courses that were also good in there own right but Greg just cuts to the chase where you can just take what he says and run with it. Sometimes instructors explain so much to where it becomes more intimidating than exciting. He also has answered my questions within a reasonable time. Thumbs up! Enroll in the Probate Real Estate Investing Course Today! Stop fighting other wholesalers and investors for deals...​ Become A Probate Real Estate Specialist!!! Remember, You are never at risk! You're fully protected by our 30 day 100% money-back guarantee.